Jaluka Rosalina is a skilled painter. She has created many beautiful artworks and murals that share her talents and her stories. Jaluka Rosalina has studied extensively. 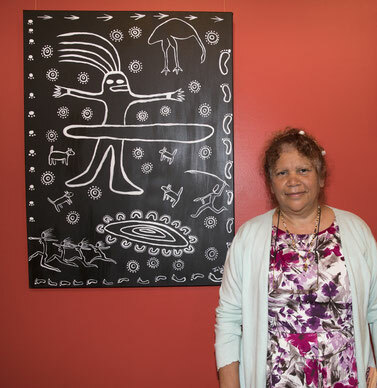 She has studied at the Eora Centre in Redfern, Koorie Art & Design at Kempsey TAFE and completed Certificate III in Media Studies and Certificate IV in Screen Media in Darwin.